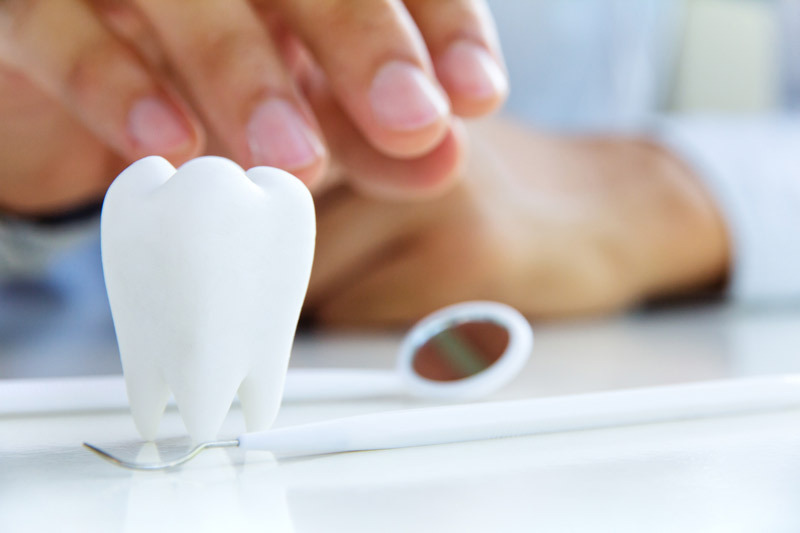 Some situations do not offer the possibility of saving and restoring a tooth. In these cases the tooth must be extracted or removed. Dr. Monson is very skilled in oral surgery so that many teeth can be removed in our office and save you a trip to the oral surgeon. A plan for replacement of your tooth will be developed and discussed before your extraction. Periodontal disease or gum disease is a breakdown in the structures that support the teeth, namely the gingiva (gums) and bone. Periodontal disease is caused by a build-up of bacteria, plaque and tartar. After periodontal treatments, it is often necessary for you to have your teeth checked and cleaned more frequently to prevent a relapse. Dr. Monson will discuss with you the optimal time between your appointments. A deep cleaning is needed when you have more plaque and tartar accumulated than normal and require cleaning of the tooth surface under the gumline. The mouth will be anesthetized in sections and thoroughly cleaned. If the periodontal disease does not improve, you may need to see a specialist (periodontist) for additional treatment.